Liesle, who is the oldest of eleven(!) children, was a huge Disneyland fan growing up. In fact, despite the expense for so large a group, her family would make a pilgrimage to the park almost every year, even though they lived several states away. After we were married we continued Liesle's family tradition of going to the park once a year or so. Because we knew we only had a limited amount of time each visit, it became sort of a "game" to see how much we could fit into one day at the park. As a software engineer for a large networking software company, one day it occurred to Mark that he might be able to write some optimization software to minimize the amount of time they spend in line, thus maximizing the number of attractions we could visit. 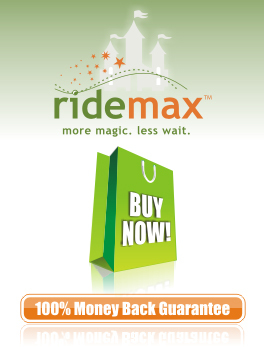 That was the beginning of the RideMax software program, but of course it took a lot of experimenting to get the algorithm right, (especially as the FASTPASS system came online), as well as a couple of years collecting enough wait time statistics at the park to make the software useful. Today RideMax is helping many people "beat the crowds" at Disneyland, and we hope to continue building and improving the software for a long time to come!